I believe that it is critical to Follow-Through on those things you know in your heart you ought to do and finish. If there are any obstacles that prevent, slow, or weaken your ability to Follow-Through, this book is designed to encourage you to push to get it done. When you buy this book you will receive a step by step Spiritual Model that will guide you through your Follow-Through process. Buy now and take the Follow-Through Quiz today. • Do you often avoid decisions? 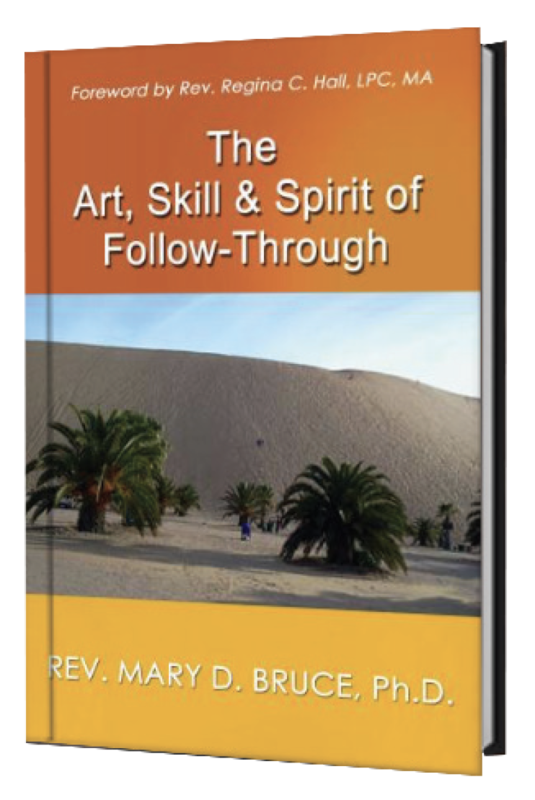 • Do you make big plans, but never carry them out? • Do you avoid trying something new? And much more! Assess your Follow-Through Status Today! Want to Interview Rev. Dr. Bruce? Use the form below to schedule your appointment today or to request to be added to our email list for press releases.